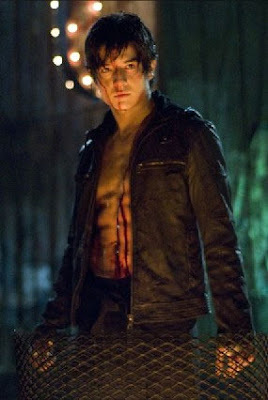 - Jon Foo as Jin Kazama: A young and talented fighter who has a dark power within him. 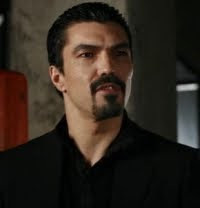 - Ian Anthony Dale as Kazuya Mishima: A powerful karate fighter, Kazuya is the son of Heihachi Mishima and the father of Jin Kazama. He possesses the power of the Devil Gene, which his son inherited. - Cary-Hiroyuki Tagawa as Heihachi Mishima: The chairman of the Tekken Corporation, that is being investigated of murder. - Kelly Overton as Christie Monteiro: She is a Brazilian Capoeira practitioner and student of Eddy Gordo. - Luke Goss as Steve Fox: A talented boxer from England that was once one of the best fighters of the world, but had passed his prime. - Cung Le as Marshall Law: A Jeet Kune Do fighter. Le is a mixed martial artist, and his presence in the movie was confirmed in the end of 2008 by Kung Fu Cinema. - Gary Daniels as Bryan Fury: A former Interpol officer that competes in the tournament. - Candice Hillebrand as Nina Williams: A cold-blooded assassin and mother of Steve Fox. - Marian Zapico as Anna Williams: The sister and rival of Nina Williams. - Darrin Dewitt Henson as Raven: An international intelligence agent considered highly skilled and iron-hearted, codename Raven. - Nathan Jones as Craig Marduk: A professional Vale Tudo fighter. The character of Marduk was indeed modeled after Jones for the videogames. - Lateef Crowder as Eddy Gordo: A Brazilian Capoeira practitioner and mentor of Christie Monteiro. - Tamlyn Tomita as Jun Kazama: Jin Kazama's mother. After her assassination, Jin enters the tournament to avenge her. - Gary Ray Stearns as Yoshimitsu: A mystic, Samurai-esque armored swordsman. - Anton Kasabov as Sergei Dragunov: A member of SPETSNAZ, Dragunov is considered the very symbol of fear on the battlefield whose overwhelming fighting prowess has earned him the title "The White Angel of Death". - Jae Hee as Hwoarang: A Korean Tae Kwon Do fighter. He is Jin Kazama's rival. He deserted the Korean military and is pursued for treason, making his King of Iron Fist Tournament winning all the more difficult. - Taiyo Sugiura as Lee Chaolan: Kazuya's foster brother and Heihachi's adopted son. He's after control of the Mishima Zaibatsu. - Roger Huerta as Miguel Caballero Rojo: A young Spanish brawler, possibly one of the Tekken contestants. - Mircea Monroe as Kara: Jin Kazama's girlfriend. I really need to see the trailer of Tekken before saying anything about the cast.